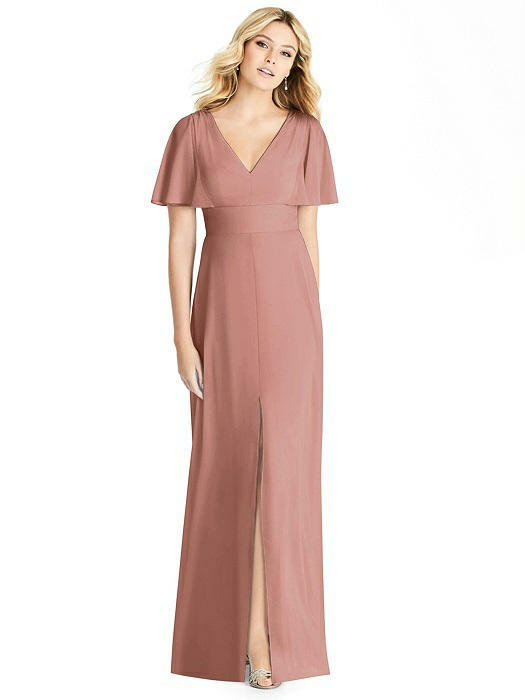 Full length matte chiffon dress with v-neckline and split draped ruffle sleeves. Inset midriff. Modified circle skirt with centre front slit.